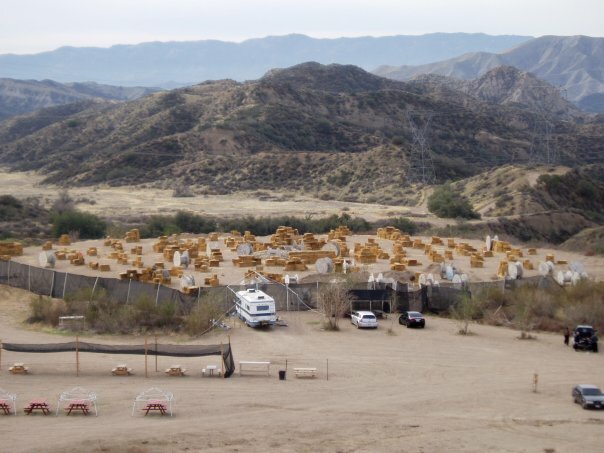 Paintball USA Paintball Park is an outdoor paintball field located near Los Angeles in Santa Clarita, California. 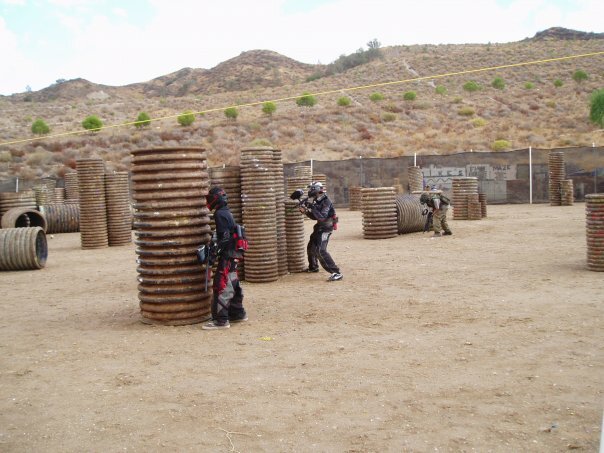 Paintball USA is also convenient from Thousand Oaks, Simi Valley and other cities in the greater Los Angeles area. Paintball USA has plenty of shaded picnic space available. You can bring food and beverages or place a pizza order with their representatives from Guido's Pizza on site. See descriptions of some of the courses and features of Paintball USA below. The Haybales course is made up of various materials featuring, of course, haybales. 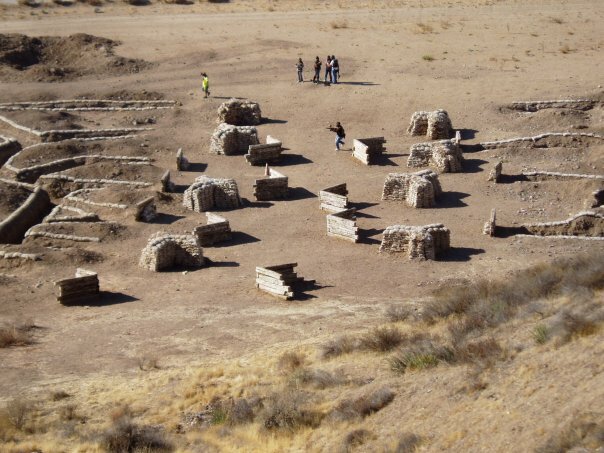 The WWI Trenches course has an incredible array of features. 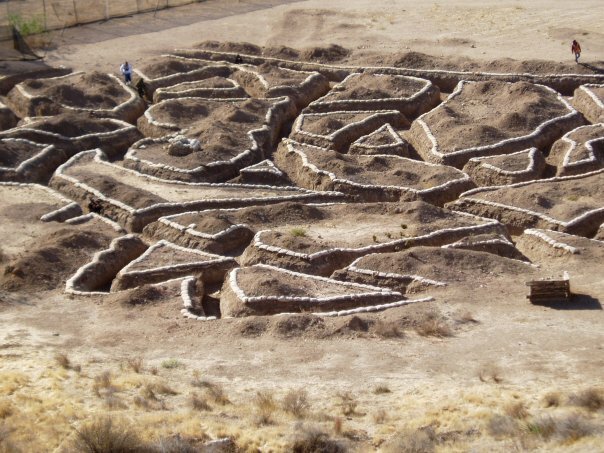 There are two large areas with a maze of trenches seperated by "No Man's Land". "No Man's Land" is made up of sandbags and wood bunkers and makes for interesting and intense games. Hyperball features large corrugated drainage pipes. These courses make for high speed, intense games. This is the reason for the generic name, "Speedball". 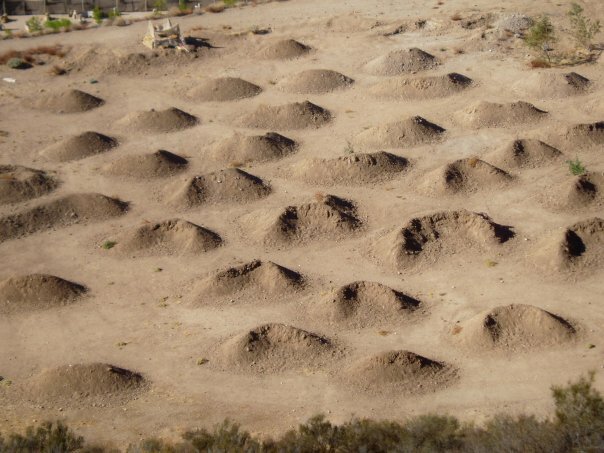 Many established players prefer this type of course. 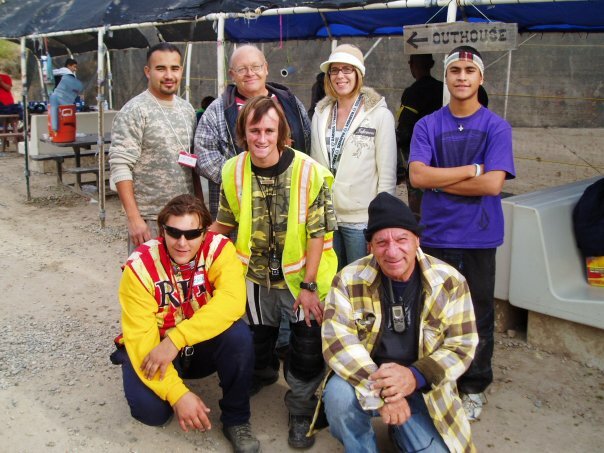 Paintball USA's friendly staff members work hard to make sure you have a great time playing paintball. They guide you through every part of the paintball process. They show you how to use the equipment safely, guide you to the various courses and organize your games. 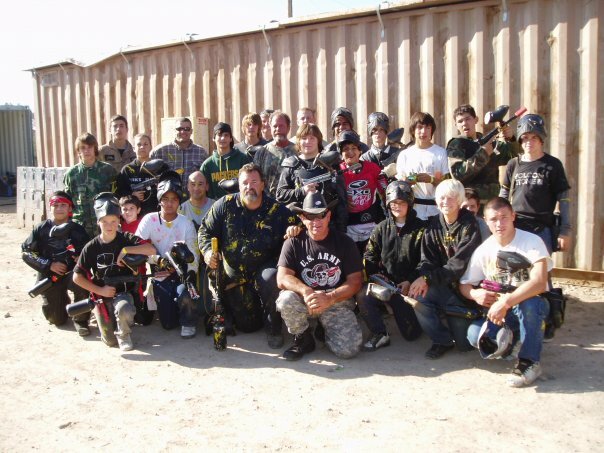 You can make reservations to play at Paintball USA for your paintball birthday party, bachelor party, corportate group, church group and more from this page. 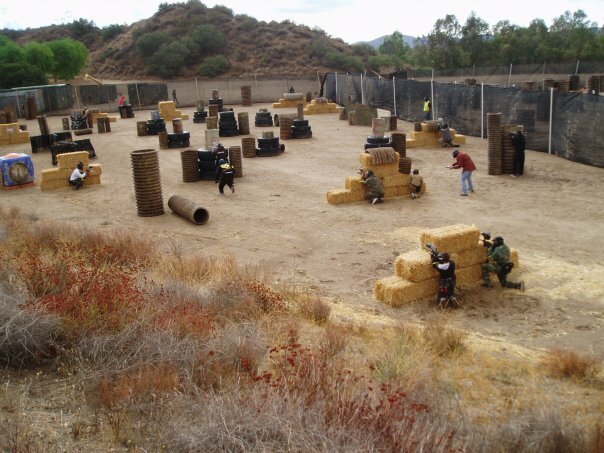 Playing at Paintball USA Field is great fun for birthday and bachelor parties. It is also very popular with church groups. Paintball makes an ideal team building activity for Corporate groups. Reserserve your group at Paintball USA today!